I read this ages ago, but hey. Let’s talk about YA tropes, through the lens of Miss Peregrine’s Home for Peculiar Children. My complete review is on Goodreads. Like always, I’m not going to duplicate the review here. Instead, I’m going to wax philosophical. Bear with me. 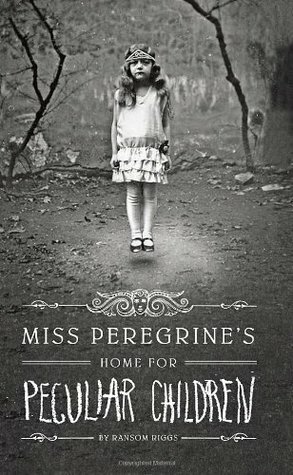 So, I read Miss Peregrine’s a while ago, and I really liked it. This was honestly a surprise, because I’ve really been struggling to find YA novels I like. But if you check out its reviews on Goodreads, you’ll see that they’re very… divisive. So what drew me in? But romance is super duper in right now. Daughter of Smoke and Bone? Shadow and Bone? Graceling? These are all strong fantasies, but their main plotlines are about romance. Everything else is secondary. And that’s fine, it’s just not my favorite thing in the world. Unfortunately, this seems to be an extremely popular trend, and I’m having a hard time finding more straight-up adventure fiction. And that’s why I loved Miss Peregrine’s Home for Peculiar Children. The characterization is not as deep as I’d like, either for the heroes or the villains, but it’s a strongly-paced, high-tension adventure. It was mildly creepy, consistently tense, and mysterious. I didn’t like the romance in Miss Peregrine’s either (I actually found it uncomfortable), but it didn’t make up the majority of the novel. It was a subplot. Would I have liked it as much if I hadn’t read so many YA fantasy-romances lately? Who knows? But it had something I desperately wanted in YA fantasies right now: A lower smoochy-smooch-to-adventure ratio.